Home » Our Doctors » Angela Dantin, O.D. Dr. Angela Dantin is a Therapeutic Optometrist and Certified Glaucoma Specialist. She received a Bachelor of Science in Psychology from Texas A&M University in 2011. Dr. Dantin received her Doctor of Optometry degree from the University of Houston College Of Optometry in 2016. She completed a clinical internship at Lackland Air Force Base-San Antonio, where she provided routine eye care and LASIK/PRK management for both active duty and retired military members. 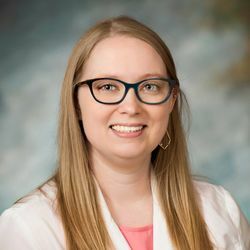 She completed a second clinical internship at Northeastern State University-Oklahoma College of Optometry where she received advanced training in ocular disease treatment and cataract surgical management. She is an active member of the Texas Optometric Association and the American Optometric Association. Dr. Dantin was born on Galveston Island and raised in Texas City. In her free time, she enjoys spending time with her family and friends, going to concerts, and traveling. She is a sports enthusiast and loves watching Texas A&M football, the Houston Rockets, and the Houston Astros.